TASTE OF INDIA: Geelong Maitri''s Onam festival will be held on 8 September. Now in its 10th year, Geelong Maitri’s Onam has grown into one of the biggest festivals in the region, according to organisers. Geelong Maitri is a non-profit Indian social club, incorporated in 2013, comprising of members from different parts of India. What was a humble beginning in 2008 among friends has now become a credible Indian diaspora gathering in Geelong. The Indian community is growing professionally, financially and socially, and has become an integral part of its adopted nation, according to organiser Nishar Hameed. Maitri’s annual Onam celebrates a traditional harvest festival from the state of Kerala, India. 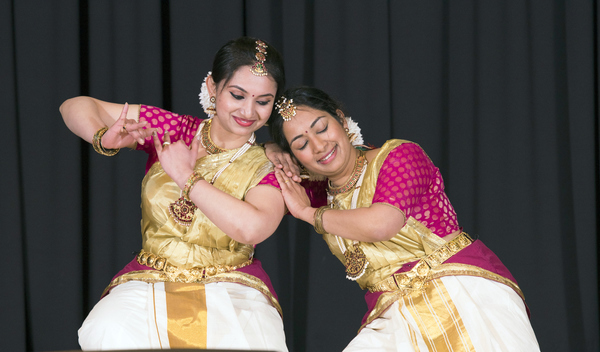 The day is a social gathering of Geelong’s multi-cultural community, with an elaborate Onam vegatarian lunch and a mix of traditional Indian music, dance and activities for families to enjoy. For Geelong’s 5000 Indian residents, the festival is a huge event, but you don’t have be from India to celebrate it, Hameed said. “Our programs and events have been listed in social media and thus gained much attention. Onam is the biggest and the most important festival of the state of Kerala. It is a harvest festival, celebrated with joy and enthusiasm all over the state and by Keralite diaspora around the world. “On our festival day we invite family and friends from the wider Geelong community to come and enjoy the dances and other cultural programs,” Hameed said. Last year’s event attracted 400 people and organisers are expecting a similar number this year. Geelong Maitri will celebrate Onam at Centenary Hall, Norlane, on 8 September.